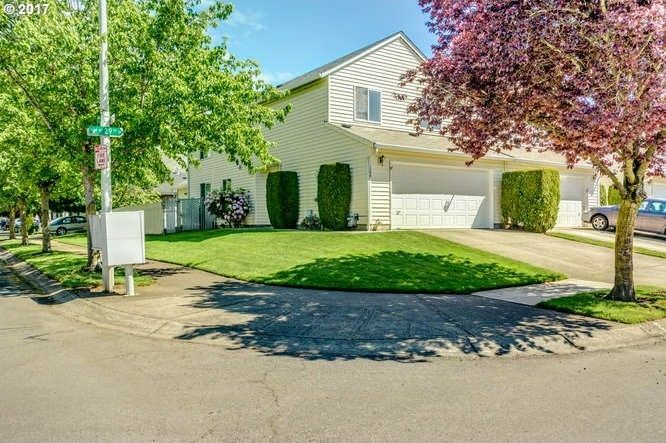 This charming attached home is located on a corner lot and is move in ready! This home features 1,902 sq/feet of comfortable living space with a large open kitchen, large dining area, living room with a cozy gas fireplace, open & bright family room with a vaulted ceiling, 3 large bedrooms and 2 1/2 baths. There is lots of space to relax in the fenced backyard and on the patio. A great location close to shopping dining and so much more!